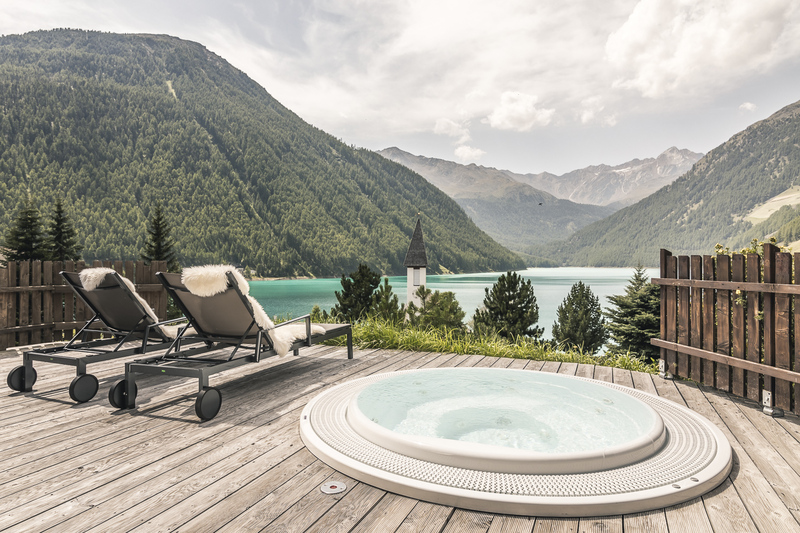 On the terrace of our spa area a small piece of heaven awaits you: the outdoor hot tub, a dream come true for all the senses, let your body unwind, your mind relax and your eyes take in the majestic sights and sounds of the nature around you. On balmy days come and laze on the terrace, its the ultimate chill out zone! 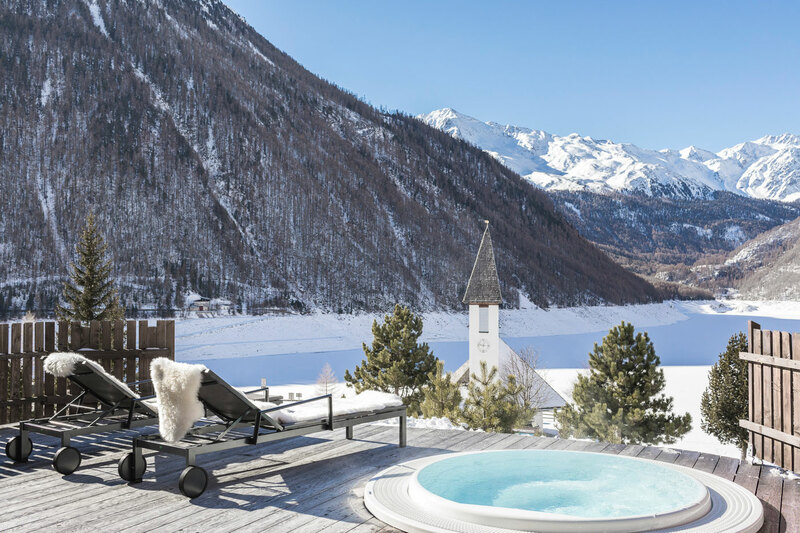 A truly one off experience awaits our guests, an exclusive alpine hut spa area, with its own outdoor hot tub complete with gorgeous views of the everchanging mountains around you. Get all hot and steamy in our authentic sauna and then take a couple of steps to sink into our delightful whirlpool. Perhaps a glass of red wine or bubbles to accompany the sounds of the wind whistling and the snow drifting from the larch trees. 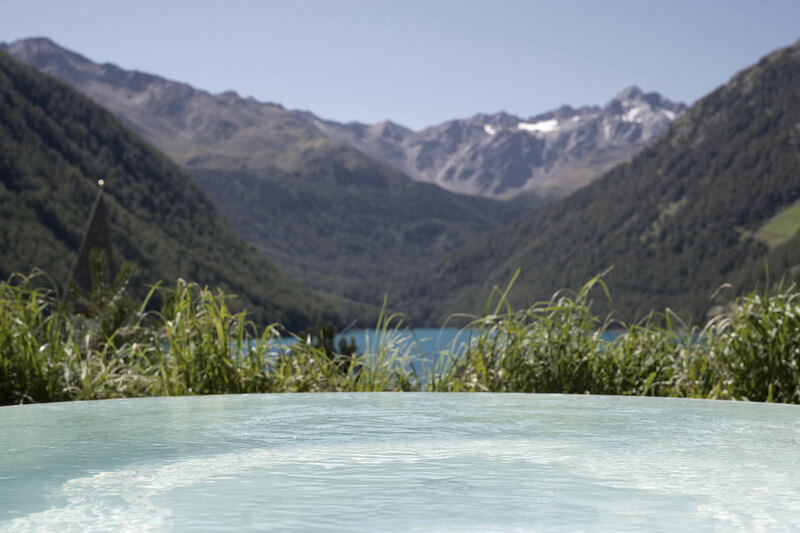 Come on in, take the plunge, the water´s lovely.